New tree recomendation ... ? Careful you don't start getting reverse taper at the top where all those branches are. Is it yours, or one you are looking to acquire? It looks to be a false cypress of some variety, so remember you won't get growth anywhere back along those branches. You'll have to use wire to compact it, which isn't bad per say... just something to keep in mind. Also you'll want to adjust the front by not having the lowest branches coming right at you from the trunk. So if you are looking to purchase it, you will want to see other views to make sure it isn't hiding a larger problem. Reverse taper is when the trunk starts getting thicker again as it gets higher. Reserve taper often happens where several branches all depart from the trunk at the same level. ie the whorl of branches on this tree. So as those branches grow, they will create an unbalanced amount of wood in the area where they originate, because too much of the new wood is concentrated in a particula area. When this concentration is at the base so much the better... high in the tree... and it's awkward and unpleasing to the eye. Which has 100% more potential in the long run. And will grow like a fiend for you in short time. I know she'll even take payments over a couple months sometimes to help people out. 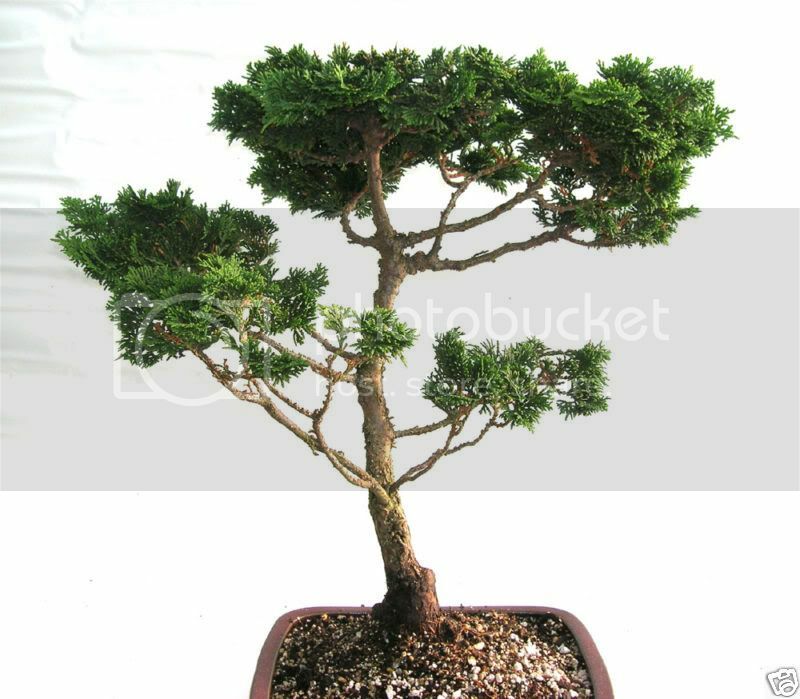 Which at $125 is a really great price for a nishiki black pine. Very true. Thanks for coming to the rescue. I would not buy that tree for $100. Think of all the other trees you could by with that $$$ at a local garden center. It's a nice tree, but not $100 nice. Posh wording?? lol I think not... I specifically avoid that on-line. At any rate... Buy the tree or not... If I were you I would ask to see additional photos if you have not seen it in person. That can sometimes help you make up your mind.